Instant responses for instant happiness. 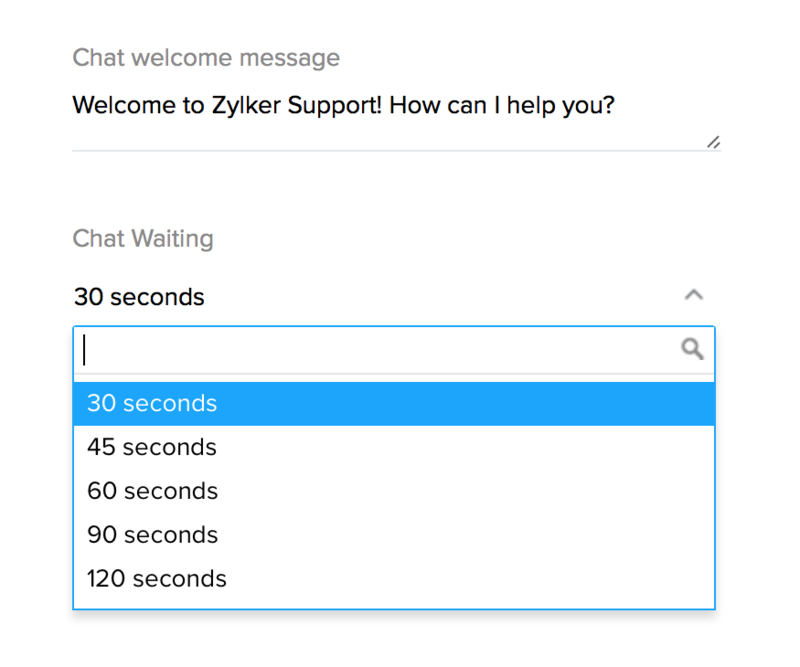 Respond to your customers the minute they reach out to you with Zoho Desk's embeddable chat widget. Embed a chat widget in the Help Center. Zoho Desk's embeddable chat widgets let you be within arm's reach when customers can't find what they're looking for in your Help Center. Your customers can get in touch with your agents instantly, right from the Help Center, so your agents can respond and help them find answers faster. 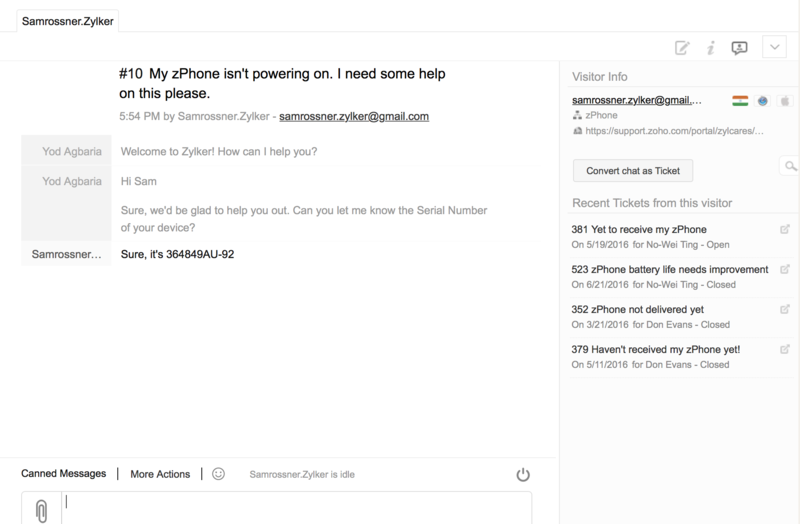 Convert chat conversations into tickets. If a customer has an issue that requires more time and attention, agents can convert the chat conversation into a ticket, in a single click. This lets agents save all the context of the chat conversation, with no time lost. Set assignment rules for each channel. Leave your chat tickets to the trusted experts in your team. 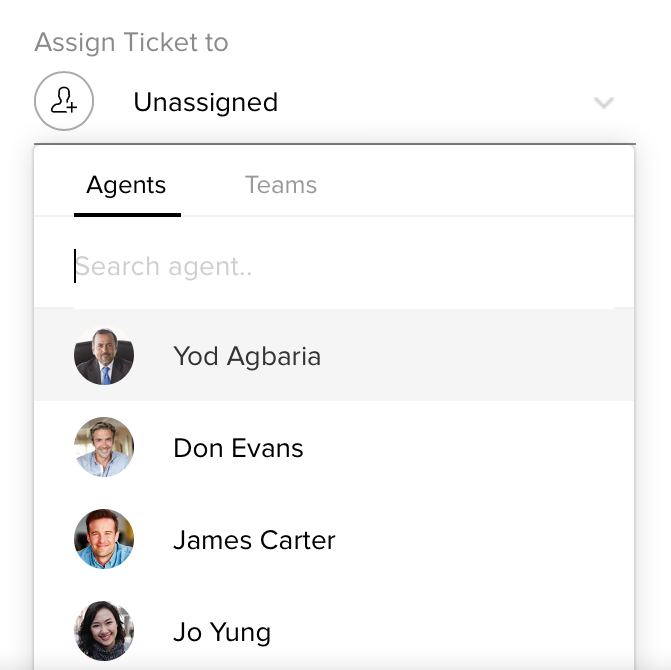 With Zoho Desk, you can assign tickets from various channels to specific agents or teams. This way, your agents can work more efficiently, and customer interactions are in safe hands. Automate, so nothing slips through the cracks. Despite your best efforts, it's possible that the right agent isn't available at the right time. For times like these, you can set a wait time for chats, after which they get converted into tickets. This way, your team doesn't miss any customer chats. Skip the smalltalk with Canned Responses. Cut right to the chase, and let Zoho Desk take care of the standard answers, with Canned Responses. These help agents get to the core of the issue without spending time typing out routine pleasantries. Chat widgets for each brand. Catering to more than one brand from a single Help Center is easy with Zoho Desk. You can create separate Live Chat widgets for each brand you own, along with a dedicated Knowledge Base and Community. This makes it easier for your customers to reach out to the right agents at the right time. Ask for feedback within chat. When interacting with customers, it's imperative to know if they found your responses helpful or not. Your agents can now get customer feedback easily, with customer happiness ratings right there in the chat window.